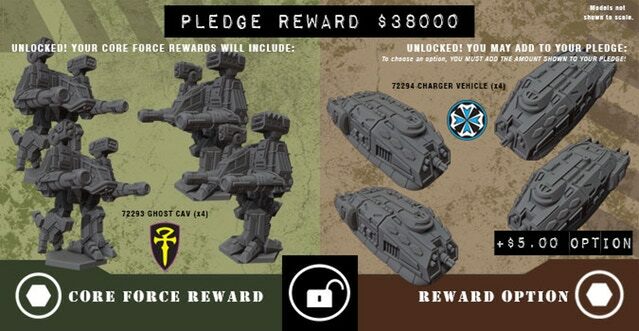 Let's get ready for October and set our "sights" on a new Stretch Goal! 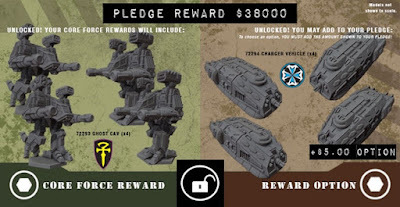 With the new week starting I wanted us to be looking forward to a new stretch goal, so I have gone ahead and "unlocked" $38k, adding it to both your Core Reward Set with four updated Ghost CAVs and your Optional Rewards with the brand-new Charger APC! Next up is the Templar Duelist and the Malvern Banshee at $46k. 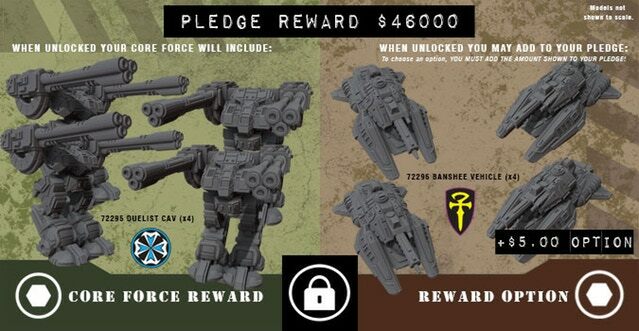 That's only $8k away so let's keep up with spreading the word and get through it quick!